Abbvie, based in North Chicago, Illinois, said Mavyret's list price without insurance will be $26,400 for eight weeks' treatment, $39,600 for 12 weeks' treatment and $52,800 for 16 weeks' treatment. As the latest entrant in a competitive market in which commercial insurers mostly have deals giving them discounts of up to 50 percent in exchange for not covering rivals' hepatitis C drugs, Maryvet is priced well below the other approved drugs. AbbVie spokesman Morry Smulevitz said the company initially will focus on getting coverage approved by Medicare, Medicaid and the Veterans Administration. 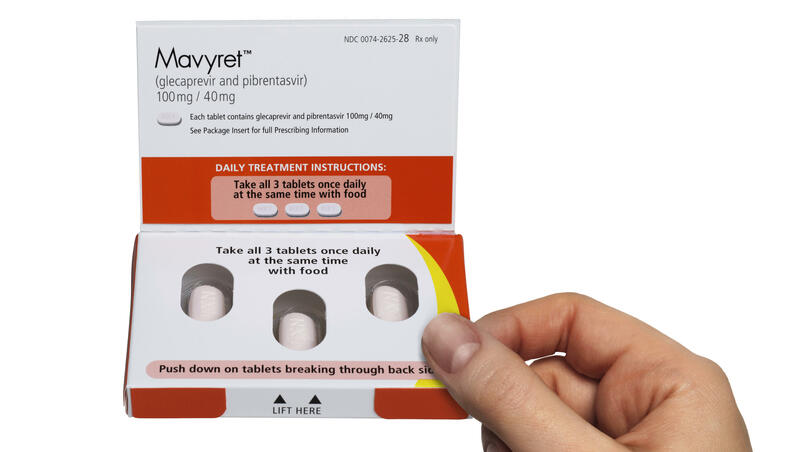 Mavyret is the latest drug to treat all six forms of hepatitis C, following Gilead's Epclusa. Earlier drugs generally are limited to patients with just one or a few hepatitis C types or at certain stages of the disease. In testing that included 2,300 adult patients, 97.5 percent who didn't have cirrhosis were cured, meaning the virus was undetectable in their blood, in eight weeks after taking Mavyret. Among patients with severe kidney damage, 98 percent were cured after 12 weeks of treatment, according to AbbVie.